Born into a musically-dedicated family, Shubha Mudgal has been trained by some of the finest musicians and musicologists in India. Trained by eminent scholar-musician-composer Pandit Ramashreya Jha ‘Ramrang’, she also received guidance from Pandit Vinaya Chandra Maudgalya and Pandit Vasant Thakar. She later learnt stylistic techniques from maestros Pandit Jitendra Abhisheki and Pandit Kumar Gandharva. She also received training in thumri from Smt. Naina Devi and is thus a versatile and popular performer. In addition to being a performer, Shubha Mudgal is also recognised as a composer. She is the recipient of numerous awards including the Padma Shri in 2000, and the Gold Plaque Award for Special Achievement in Music at the 34th Chicago International Film Festival, 1998, and the Yash Bharati Samman from the Government of Uttar Pradesh in 2015. She has also been closely involved with several projects related to music education in India. Formerly a member of the Central Advisory Board of Education constituted by the Government of India, Shubha also chaired a focus group discussing the need for introducing an arts education program in mainstream school education during the National Curriculum Framework 2005. 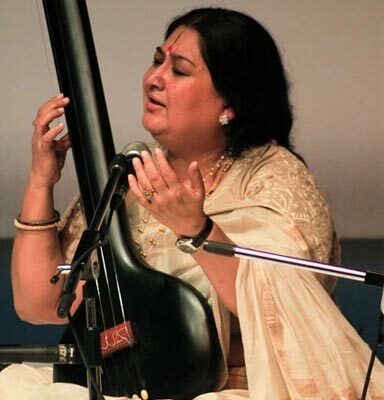 Shubha Mudgal was also a Nana Shirgaokar Visiting Research Professor for traditional music at Goa University.